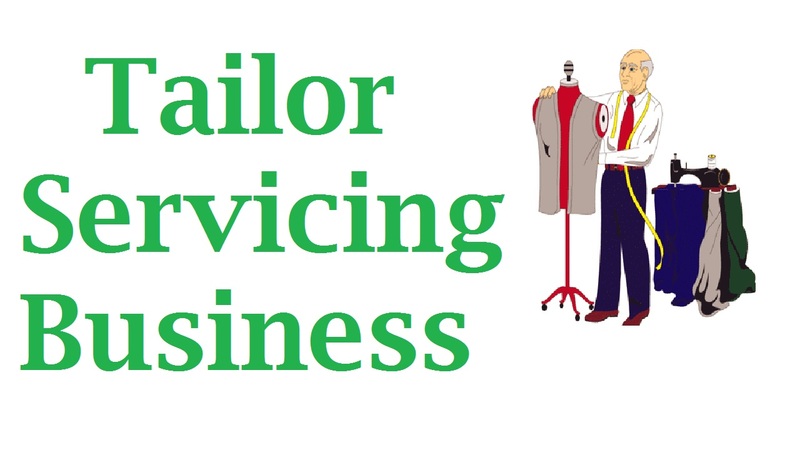 Tailor servicing business is a profitable business which anyone can start at any time. But before starting, one should learn about it. One should gather enough knowledge about tailoring and also about business. Because, if you do not enough knowledge about the business you are going to start, you will face difficulties almost at every stage. So, always try to learn about the thing that you are going to work on. Business is all about knowledge, skill, and management. And to maintain all three of these qualities, you will have to be a hard worker. And hard work always pays off. If you can work hard today, it will pay you back tomorrow or maybe the next day. It never disappoints anyone. So, I think, by now you have already learned that to start a business the important things that you will need are, knowledge, skill, good management, and a little hard work. If you have all these qualities then you are perfect to be called as a businessman. So, now, I am going to tell you about the tailoring business, its possibilities and what you will need to do for starting a tailoring business. First of all, you will need a place where you can build your own tailoring service store. Or, if you are not interested in that or if you do not have enough money to buy and build a store, then you can go for rental stores. You will find a lot of them which you can get under rent. But the important thing is to choose the area. Not anywhere you can start a tailor servicing business. You must judge the location of your store. Most of the time, the location of a business makes a big difference. It helps in achieving success. So, which area would be good for your business? How will you determine that? Let me tell you. The best location for a tailored service is the area which is populated. Maybe beside a shopping mall or maybe inside the shopping mall. Because it is easy for people to buy fabric and go to the tailor for sewing it in the same area. After you find the suitable location you are almost ready to go. But there are still some stages left before you are completely ready to go. So, after you complete your first stage you will be at the second stage. And, there you will have to buy the necessary materials you will need for your business. Basically, for a tailoring business, you will need sewing machines, which are a must needing object for this business. But, there are different types of sewing machines in the market. Obviously, it varies in price too. There are machines which work with the help of hands. Some machine works with the help of legs. And there are machines which run on electricity. So it’s up to you and your budget that which one you will choose for your business. At the second stage, you will need a few skilled and experienced tailors for providing best service to the customers. If you know tailoring, that’s even better. Or, even you can learn sewing from any tailoring institution. That will add an extra benefit to your business. Because doing your own things yourself is way better than getting it done by others’. However, you will also need some additional workers for cleaning and for other works. And along with your sewing machines, you will also need some other materials such as the measuring tape, scissors, marking pens and pencils, different colors’ threads, needles etc. And you can also keep some fabrics in your store. You may need them sometimes. You know, human beings are usually forgetting. So, it’s not an impossible thing for them to not to bring some of their necessary fabrics. And that time you can provide some fabrics to them and make some extra income from that. For your store’s decoration and arranging your stuff you will also need lots of things. You will also have to make a name-board for your service store. Choose an attractive and catchy name so that people get a bit impressed by the name. And design it well. Because beautiful things always tend to attract people the most. You can advertise your store before opening. It will make people familiar with your store even before opening. And that will be beneficial for your business as you will get customers coming to you from the opening day. You can even provide some extra services for the new opening to new customers. Providing them with less service money will not be a bad idea at all. And, your shop will also need to have a shopping bag of its own, under the shop name. It will work as a service along with an extra image of your business. You can order it from any designing organizations. And they will design it as the way you want it to be. I am telling you this little thing so that you can do it without neglecting. Because it will be the second thing that will represent you to the customers. And don’t forget to make a business card too. That’s another important thing. Finally, when you are done with all of those pre-opening activities, you will be all ready to start your tailor service providing business. First few months may go roughly as it’s just the beginning and not many people who know you. But don’t worry about that. You will be able to go through this by providing better service. And will also gain fame. My best wishes are with you. Thank you so much for your patience to read this. Hope you find it helpful.